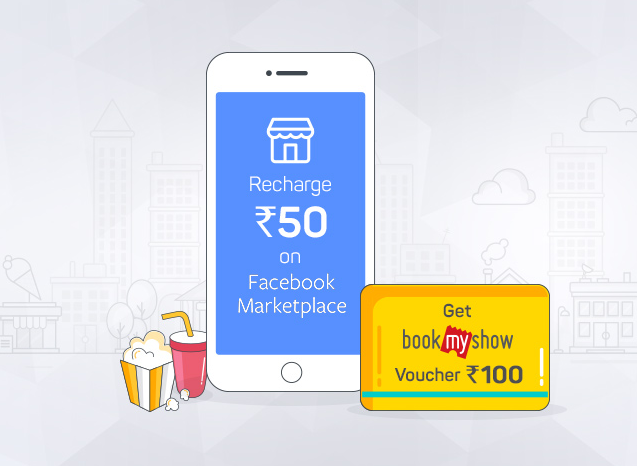 (Loot) Facebook: Get Rs 100 BookMyShow Voucher on Mobile Recharge of Rs 50!! 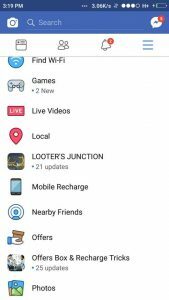 – Facebook has introduced Mobile Recharge Option in their App under Market Place Section. So one more Free Recharge source, isn’t it? And as a launch offer, they are offering Rs 100 BookMyShow Gift Voucher for doing Rs 50 Mobile Recharge. Well, this offer is valid only for first mobile recharge in Facebook, valid once per user. Let’s loot it. 2. Open Facebook, Login / Signup to your Account and click on the Options tab (last tab on top bar). Note: If you ssee Market Place Option then Click on it. Many users are not getting the market place option. In that case, close Facebook app and reopen it. If you still don’t get that option then click on Menu (3 horizontal lines at right corner) and scroll down and click on Mobile Recharge option. 3. Enter your Recharge Details and Amount as Rs 50 or more. 4. Make the payment using the available payment options and complete the recharge. That’s it. You will get the Recharge Receipt which will also contain the Rs 100 BookMyShow Voucher. You can redeem this BookMyShow Voucher while Booking your Next Movie or Show tickets at BookMyShow. Apply this Voucher at the Checkout while Booking Tickets. 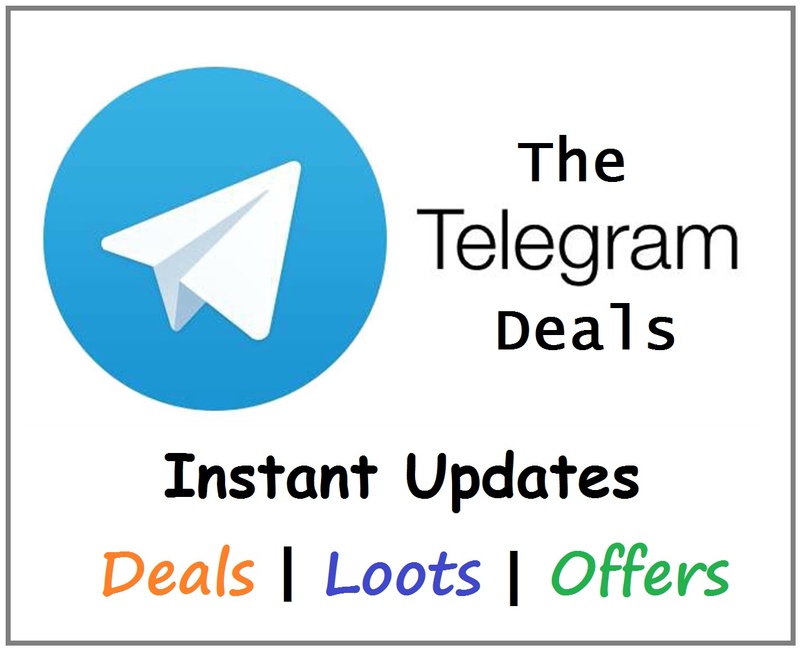 SPECIAL NOTE: Offer available in New Delhi, Tamil Nadu and Maharashtra Only | While Supplies Last | Limited Period Offer | One Voucher per User. Bhai kahi sa utha ke bas copy paste mat mar dia kar. Check bhi kar lia kar. Its not copy pasted from any lame source. We have got the official source, BookMyShow, check the link added in the article. Maybe they will send in next few hours or may be there’s some other issue. Bro still not getting mobile recharge option plz help tried alll steps~~ why? Just keep checking after few minutes.